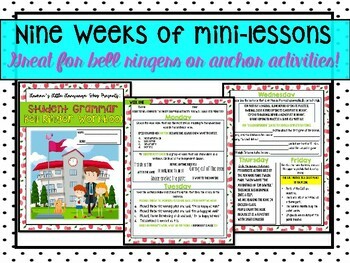 Do you need an easy go-to bell ringer source or an anchor activity for your students? I personally use this 9 week student grammar workbook as a bonus activity to be turned in at the end of term. 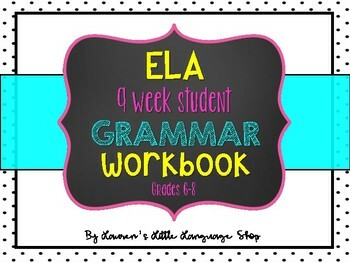 This nine week student grammar workbook includes mini-grammar activities for every day, Monday through Friday, for nine weeks. It is a great way to reinforce good writing habits and boost their understanding of the English language!